G.A. 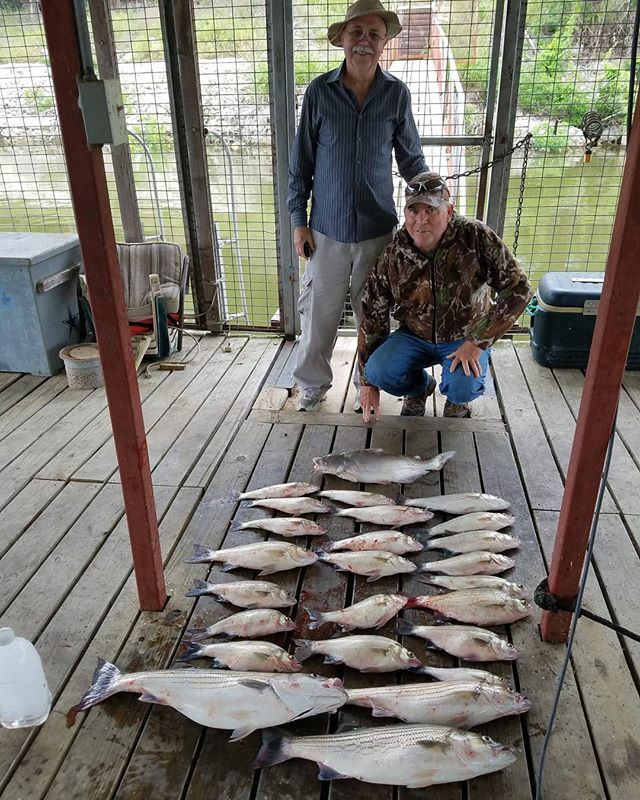 and Robert guide year round, and guarantee you will catch fish and have fun whenever you go. 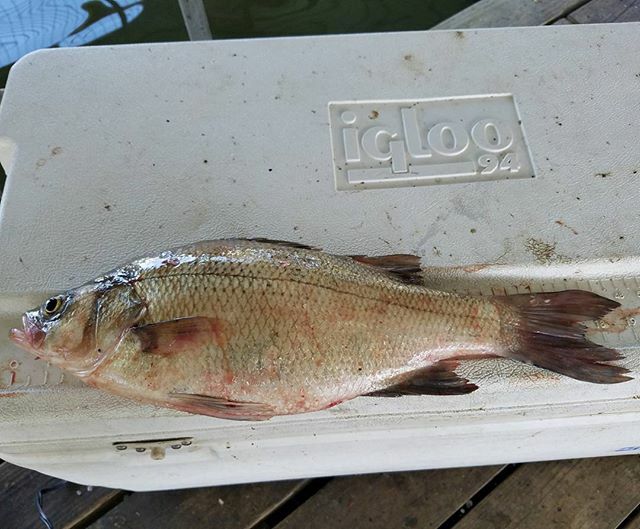 They use whatever method is best for the time of year to catch fish, including live bait, top water,jigs, and slabs. You won’t be disappointed! To book a trip click here. 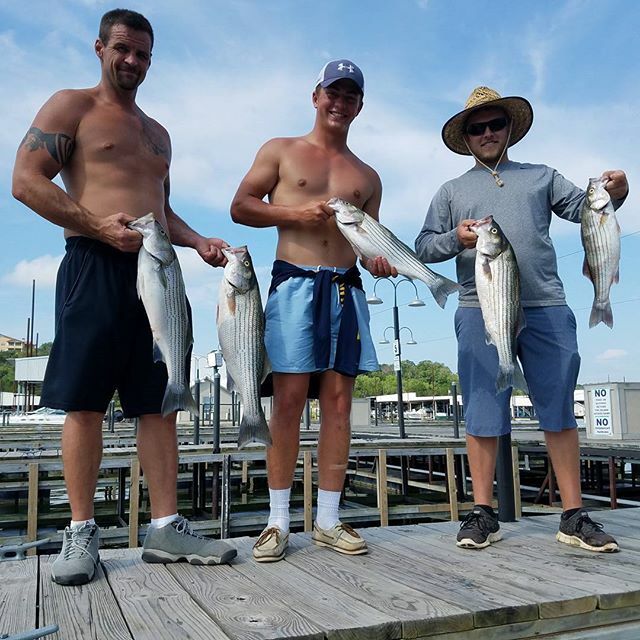 We guarantee you will catch fish and have fun! 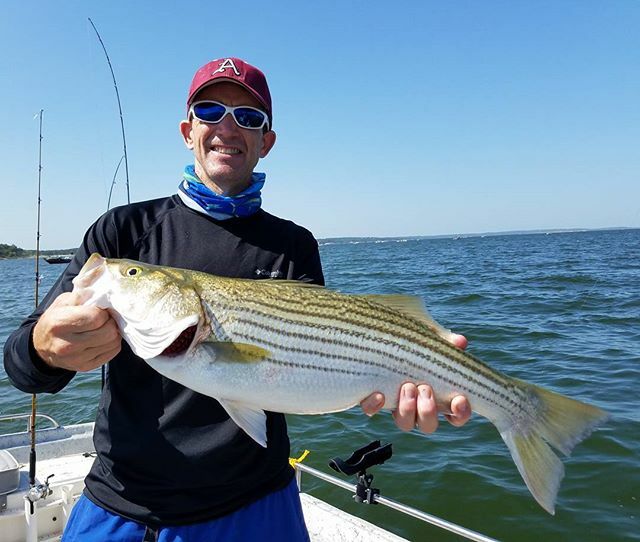 Six-seven hour trip with licensed professional fishing guide. On the water instructions for beginners. 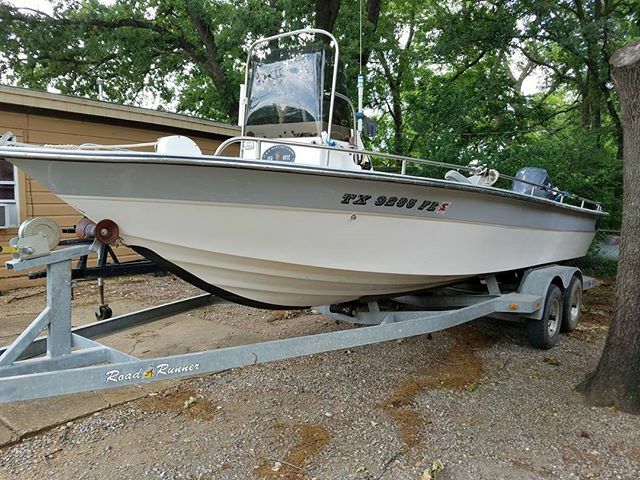 Falcon Striper Deluxe 23ft boat equipped with the latest in fishing electronics. All bait and tackle furnished so you can just show up and have fun. All fish filleted and packaged. Women and children are welcome, fishing is fun for all ages. 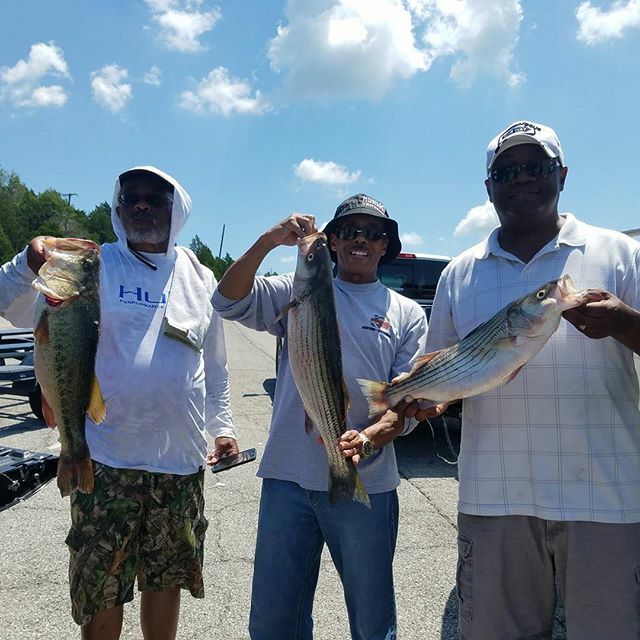 Over 60 combined years experience fishing Lake Texoma. A great gift for the family, employees, or business customers. 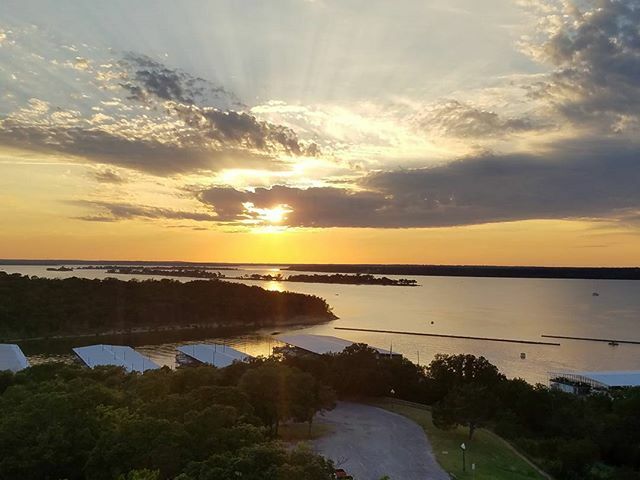 A short drive from DFW and 2 1/2 hours from Oklahoma City, OK.
Everyone over the age of sixteen needs a Lake Texoma License, costs $12.00, good January 1 thru Dec 31, and can be purchased anywhere in the State that sells fishing license, such as Wal-Mart or Academy. Texas Senior citizens can either use the Texoma license or have a valid Texas Senior Citizens license, costs $12.00, good Sept 1 thru Aug 31 and can be purchased anywhere in Texas that sells license. 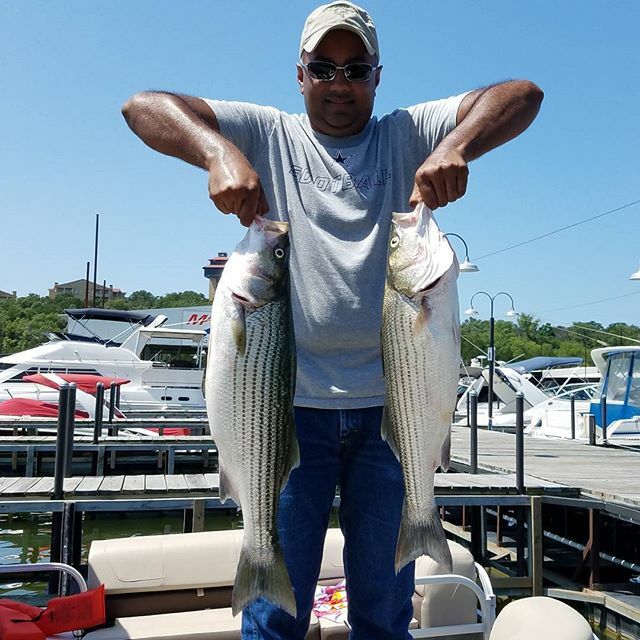 Neither of the above licenses are required if you have BOTH a Texas and Oklahoma license (much more expensive, but if you fish other lakes in boat states, this might be your best option. An ice chest with drinks or snacks (Beer is O.K. if you like, but please, no glass bottles). If you wish to bring your own fishing gear, please tell us to arrange space for it on the boat. We are located near Highport Marina. When you book a trip, we will give you exact directions where to meet and what time. If you have problems finding us the morning of the trip, call Robert at 903-818-4075. If no answer, call G.A. at 903-819-4820.